Have you ever wondered where a writer gets the idea for a particular book and what is involved in the creation of the story that looks so enticing in the book’s description? The idea for my novel was inspired by Mother’s stories about homesteading in No Man’s Land and my great-grandmother’s recipes for herbal cures—she was a medicine woman. Within the tattered pages of the old Dr. Chase book, published in the 1800’s, were my great-grandmother’s recipes for herbal cures written on blank pages at the end of chapters. They contained weird ingredients such as sugar of lead, chloroform, sarsaparilla, sulphuric ether and acid, iodide of potash, stillingia, poke root, and morphine, to name just a few. Her cures covered diphtheria, blood purifier and liver regulator, piles, worms, and a host of other ailments. With her concoctions, she healed ill and dying patients who had been given up to die by the doctors. Unfortunately, she never passed down the tradition of healing with herbs. As I considered how I could use the herbal healing in a novel, I remembered all those family stories my mother told me about homesteading in No Man’s Land. As a child, I used to beg her to retell the stories, and she would laugh and say, “Oh, you don’t want to hear that again.” But she always recounted those fascinating tales of digging the dugout, confronting outlaws, digging the well, fighting prairie fires set by the cattlemen to drive out settlers who were a threat to open range. I never tired of hearing about those frightening experiences of what it was like to homestead in that wild and untamed territory. 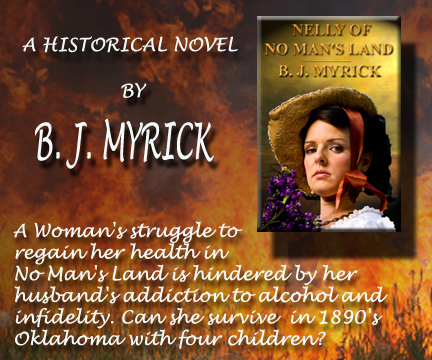 The story, Nelly of No Man’s Land takes place in Oklahoma over a two-year period. A pioneer family homesteads in The Strip where they struggle to survive in a lawless territory. Nelly Duncan is a dying woman who battles to regain her health while struggling to resolve the personal pain of her husband’s alcohol addiction and infidelity. Through the help of a medicine man, she regains her health there. Then the past returns to haunt her: the handsome peddler she turned to for comfort during her husband’s unfaithfulness and who fathered a child her husband thinks is his own, reappears in her life. Take a step back in time and travel with me through the pages of Nelly of No Man’s Land as I share the journey with you. The historical novel is available at amazon.com in both eBook and paperback. Coming soon: In 1890, a pioneer family homesteads in Oklahoma’s No Man’s Land where they struggle to survive in a lawless territory. Storyline: When the doctor gives NELLY DUNCAN up to die, her husband, WILL DUNCAN, moves the family to Oklahoma’s No Man’s Land in the hopes Nelly can regain her health. The territory—wild and dangerous–is filled with outlaws and disgruntled cattlemen who will kill or burn the settlers out to keep free range. Wolves and coyotes threaten their stock. To complicate matters, Nelly’s personal battle to regain her health is hindered by Will’s addiction to alcohol and infidelity. Take a look! 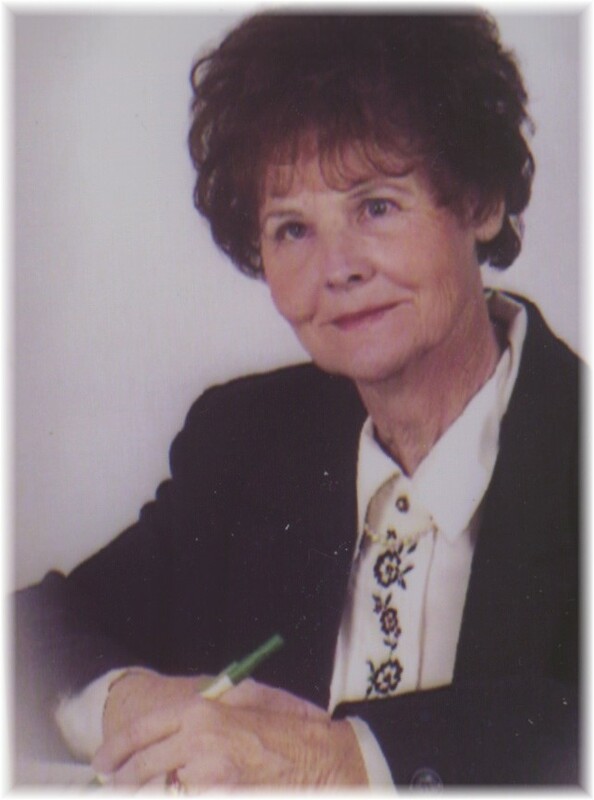 Bonnie Myrick was born in 1932 in Atlanta, Kansas, to Scotch, Irish, and English parents. Her career as Art Educator spanned twenty-three years. Her first novel, “Out of Control,” is a paranormal suspense, and she partnered up with Hazel Hart to produce two short story collections of dark fiction, “Edge of Nowhere” and “Dark Side of the Rainbow.” Her historical novel, “Nelly of No Man’s Land” is scheduled for release in December. She is currently working on “Assisted Living,” a mystery. She has one daughter and lives in the Midwest.